When people bring up the subject of telehealth or telemedicine, the conversation typically revolves around patient care. That makes sense given the potential advantages of video visits for patients and providers alike. 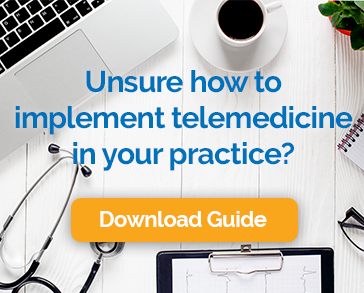 However, the definition of telehealth is much broader. It includes, “the use of electronic information and telecommunications technologies to support long-distance clinical healthcare, patient and professional health-related education, public health and health administration.” The opportunities that telehealth opens up to improve professional health education are profound. Telehealth enables distance education or situations in which the instructor and students are not in the same place, but use electronic communications hardware and software for instructional delivery. This encompasses a wide range of technologies from websites with materials and coursework to virtual classrooms that connect multiple participants for real-time, interactive classes. Educational instruction that is delivered via telehealth includes master’s degree courses, continuing education, and some undergraduate instruction. This approach opens up learning opportunities for students who are unable to attend traditional in-person courses because of distance or lack of time. There are two types of instruction delivery, synchronous and asynchronous. Synchronous Instruction: With synchronous instruction, the instructor works with students in a session that serves as the digital equivalent to a physical class. The internet makes it possible to have live video and audio sessions without the need for special equipment. Students can use chat features to ask questions and interact with the instructor. The sessions can be recorded for later use and real-time polling and quiz features allow data to be captured. Asynchronous Instruction: Asynchronous instruction happens when students are offered self-study materials and courses that they can access via the internet whenever it is convenient for them. This allows learners to work at their own pace and gives them the flexibility to manage their time around other obligations. Courses can be simple websites or sophisticated multimedia programs offered through a dedicated eLearning platform. Of course, using telehealth technologies for education is only valuable if it is effective. Because the use of this approach is expanding rapidly, we can expect to see more evidence-based arguments in favor. There has been some work in this area already. The TElematics TRAining for SURgeons (TETRASUR) project tested the effectiveness of telehealth learning when used to train physicians studying to achieve membership into the Royal College of Surgeons. The goal was to minimize the challenges posed with trainees spend time away from the surgical area to attend seminars and lecturers. The TETRASUR program included live, interactive lectures, discussions via video conference, and case presentations. The results, although uncovering some areas of concern, were overall positive. Many hospitals and healthcare systems are looking to telehealth to cut the divide between patients in underserved areas and medical specialists. At Children’s Hospital Los Angeles, a group of pediatric ophthalmologists, are using the technology to train specialist in developing countries, with the goal of eliminating preventable infant blindness. The Vision Center is leading an innovative program that that delivers remote training for eye surgeons in Armenia. The object is to reduce rates of a preventable infant blindness, called retinopathy of prematurity (ROP), which occurs three times as often in Armenia as in the United States. Telemedicine is rapidly transforming how healthcare is delivered in the United States and around the world. It is fast becoming an integral part of how new providers are trained and how existing ones keep up with new advancements and approaches to treatment. As technology improves and people become more comfortable with remote care and learning, even more innovative ways of leveraging telehealth will certainly emerge.